"Book Car Hire in Bahrain with Rhino and let us compare prices to get you the best deal." *daily rates in Bahrain based on a 1 day rental (24hr period) and for guidance purposes only. Established as a leading tourist and commercial destination in the Middle East, car hire in Bahrain has increased in popularity in recent years. With more suppliers located at Bahrain airport than ever before, competition is strong and finding the best price can be a mine field. Let Rhino take the pressure off as we search all suppliers to bring you exclusive deals on car hire in Bahrain not available anywhere else! We compare rates from leading suppliers such as Avis and Hertz as well as local suppliers who know the market well. 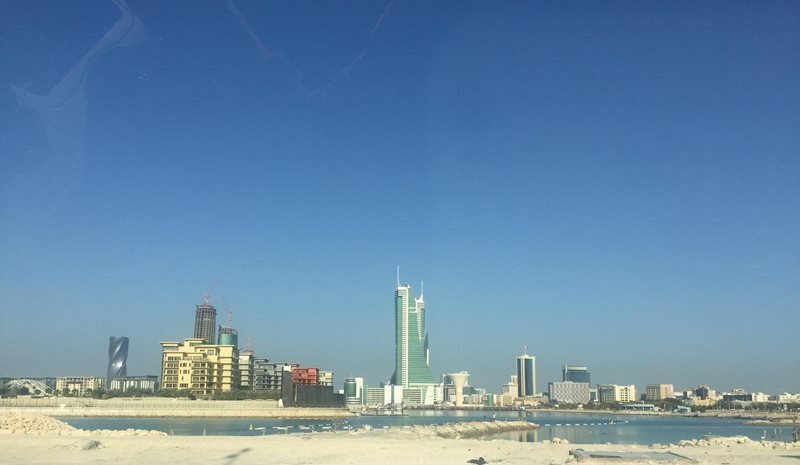 Air conditioned car hire in Bahrain is essential as summer temperatures regularly exceed 40 degrees and within the cities the heat can be unbearable. Our cars range from budget and economy class cars such as the Peugeot 107 or Hyundai Getz, big enough for 2 passengers and all their luggage to range toppers like the Mercedes E Class that will carry you and your driver around Bahrain in luxury and style. We cater for groups and larger families with a range of 5-8 seat cars available including the Ford Galaxy 7 seat, perfect for those with children. We have a wide range of cars available to suit every budget from economy rentals starting from just £12 per day, up to luxury and executive cars with air conditioning and automatic transmissions. Customise your rental car with sat nav and child seats and opt for additional drivers, often included within the rate. 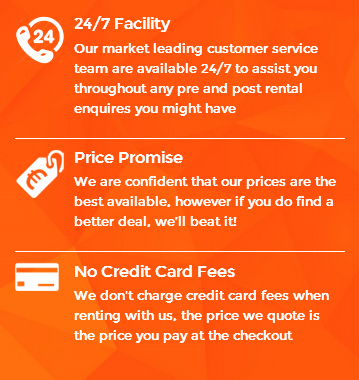 Get a quote today with our 3 step booking form and you won't be disappointed. Bahrain Car Hire - Did You Know? Bahrain is officially known as the Kingdom of Bahrain and is ruled by the Al Khalifa royal family. It is an archipelago of 33 islands and the biggest one is Bahrain Island at 34 miles long. Bahrain has its own Formula One race track which has hosted a number of Grand Prix races. In September 2006, Bahrain changed its weekend to Thursdays and Fridays, previously it was Fridays and Saturdays. It is a popular tourist destination as receives over 8 million visitors a year. 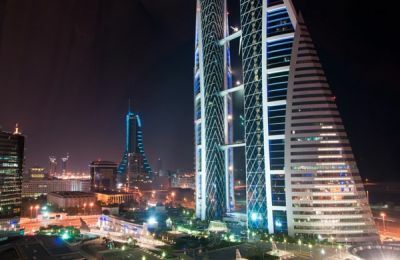 Bahrain is considered one of the most culturally relaxed places in the Middle East making it an ideal holiday destination. This Kingdom of islands which are located in the Arabian Gulf is the smallest of the independent Persian states but nevertheless extremely rich with a strong currency. The predominance of financial services here has also meant that Bahrain is extremely popular with expatriates. 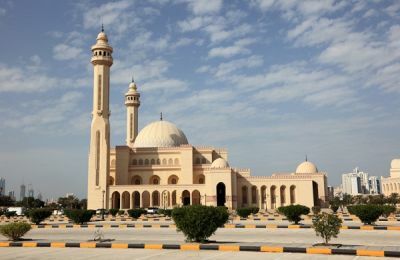 The local currency of one Dinar is worth three US dollars ($USD) meaning that you may wish to do some saving before you make your visit, but it will be worthwhile as there is much to see and do here. Having a car is probably the best way to get out and explore the islands of Bahrain at your leisure. Like Dubai, you can expect petrol to be reasonably cheap in this oil producing country. The best time to visit is during the winter and the spring months, but by April it starts to really heat up. This is especially the case if you are a fan of motor racing as the Grand Prix takes place in Bahrain in April although due to political unrest the 2011 Grand Prix was cancelled. If visiting in the summer months an umbrella and a bottle of water are your two most important travel items. If you are driving to Saudi Arabia the King Fahd Causeway will take you there within half an hour, but check your rental car regulations before making the journey as plans for cross border travel should be advised to the rental supplier in advance, please check our rate terms for more details. Bahrain International Airport is a busy terminal which is often used as a stopover by flights on their way to Australia. 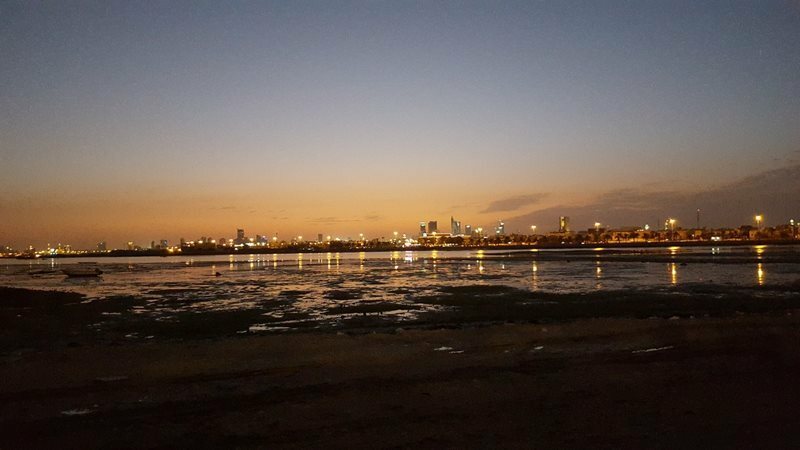 The airport is located in Muharraq close to Manama. The region’s main airline is Gulf Air which has flights to other destinations in the Middle East and internationally. Once in the airport shopping is a big draw for people coming to Bahrain as purchases are tax free. As well as several impressive malls you can find good deals on all sorts of products in the souks and though they may not be genuine originals they often look as good as the real thing. Tailored suits are also a popular choice for visitors as the prices and quality are hard to match. 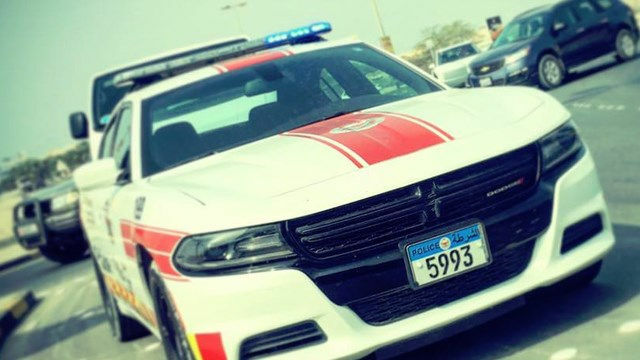 Bahrain is one of the few Arab countries where it is possible to drink alcohol but you must always do so responsibly as a failure to dress appropriately or overt public shows of affection may earn you disapproval or sometimes even worse. Many tourists go to Bahrain every year to see the Bahrain Grand Prix and the country is a great place to play or watch sport. Bahrain has plenty of 18 hole golf courses and because it is an island within the Gulf of Bahrain there is the opportunity to indulge in water sports around its coast. Our car rental is the quickest and cheapest way to get around Bahrain and see all these sights and more. Save time searching for the best price and book your next Bahrain rental car with Rhino to save time and money by using our 3 stage secure booking process, simply tell us what you need, select the car you want and confirm your rental.